Learn more about each of these products below, and call (345) 94-LASER to schedule your treatment at Beyond Basics Medical Day Spa in Grand Cayman. Yana: YANA™ is a revolutionary daily beauty liquid that helps to rebuild and strengthen skin by boosting the body's natural collagen production. This highly concentrated proprietary blend of collagen peptides, ceramides, antioxidants and vitamins helps to restore the essential elements skin needs to regain and maintain its youthful appearance. The YANA™ Replenishment Program allows you to receive monthly shipments of YANA™ arriving directly to your doorstep. Did you know by subscribing to the Replenishment Program that after every 3 months your 4th month is free? Get ready to embark on a journey to radiant skin from within. The VITAL C product line offers skin care with antioxidants that is ideal for dry/dehydrated, rosacea-prone and sensitive skin due to harsh environmental stressors. A rich blend of natural botanicals creates a soothing and healthy way to improve skin. A product line high in anti-oxidants for ultimate protection and nutrition. 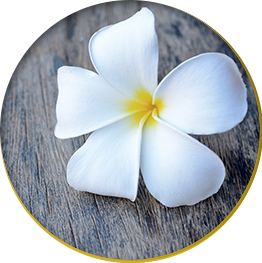 Lluma: Introducing the next generation of powerful skin lightening ingredients . Quickly diminishes all forms of pigmentation from sun spots to melasma. Formulated by plastic surgeons, this revolutionary intense lightening line utilizes Vectorize –TechnologyTM to deliver potent encapsulated lightening agents to correct and prevent pigmentation and uneven skin tone. An evolution of daily skin moisturizers with built-in broad spectrum UVA/UVB sun protection. Medical studies confirm that sun, pollution, stress and smoke are the leading causes of skin cancer and accelerated aging. Protect your skin daily with an IMAGE daily skin moisturizer formulated for your skin type. Imagine releasing fresh, healthy skin hidden below layers of older skin cells with a process that’s both gentle and invigorating. Using oxygen, plant-derived stem cells, peptides and specially concentrated enzymatic botanicals, O2 LIFT delivers a premium spa experience with immediate results. This anti-aging, luxurious spa treatment produces gorgeous luminous skin that feels as healthy as it is radiant. The MAX Facial Cleanser: A daily, acid free, sulfate free and Paraben free gentle cleanser to balance and optimize skin's pH. Plant derived stem cells as well as plant extracts nourish skin and protect from environmental pollutants. Oatmeal is the active ingredient for over-worked or sensitive skin. NEW IMAGE MD KIT - RX ONLY PRODUCTS - A prescription strength clinical skincare system to dramatically improve the appearance of your skin with physician strength product. Reconstructive Facial Cleanser - An effective AHA/BHA daily cleanser that exfoliates and gently removes makeup as well as speeds up cellular turnover for rejuvenation. Increases ability for active ingredients to penetrate deeper into the skin for maximum benefit. Reconstructive Serum - A unique daily hydrating serum with a complex of stabilized Vitamin C (Tri-C Complex™). Protects skin from reactive oxygenated species (ROS) and combats aging effects with high concentration of antioxidants. Lightens, tightens, and brightens in one simple application. Reconstructive Repair Cream - A highly concentrated blend of retinol, glycolic acid and oil soluble Vitamin C to resurface, rejuvenate and repair aging skin. Leaves skin youthful, firm and radiant after just a few applications. Reconstructive Moisturizer SPF 30 - The next generation pure physical broad spectrum UVA/UVB moisturizer provides skin with the ultimate in protection and prevention. Plant derived stem cells protect against environmental exposures and extend longevity of skin cells. High concentration of antioxidants, thiotaine, green-tea and resveratrol reduces free radical damage. I-Conceal - A daily foundation with balanced ingredients for maximum healing and conceals for a flawless complexion. 6 colors for each Fitzpatrick. - Lightweight Breathable Daily Formula to promote healing while concealing imperfections! The IMAGE skincare philosophy is that to maintain and improve skin health, an effective, professional skincare regime is essential and optimal skin health cannot be accomplished utilizing traditional over-the-counter products, which only treat the surface of the skin. IMAGE Skincare professional products work at the cellular level to diminish fine lines, fade skin damage, increase hydration and stimulate cellular turnover for more youthful looking skin. All Image products are paraben free! ORMEDIC - Organic ingredients with Medical Effectiveness – perfect for our pregnant and lactating mothers, as well as Teenagers who just want to maintain good skin. SUN - Formulated for Daily Protection – a wonderful moisturizer with sun protection that is formulated even for infants! BODY SPA - Formulated for Overall Well-Being with a Lightening Body Lotion, Body Bronzing Crème, Exfoliating Body Scrub, Firming Body Crème and Facial Bronzing Crème. IPeel - Professional Peelings and Treatments for all skin types. 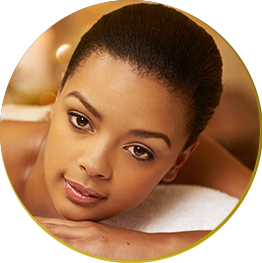 These customized Image signature professional treatments offer unparalleled results treating specific skin conditions. The outstanding results are synergistically supported by Image Skincare homecare products. Stimulate, nourish, and protect! Treat your skin to a new level of health. Only from IMAGE! Obagi CLENZIderm M.D. is a three-step acne therapeutic system including a liquefied form of benzoyl peroxide that is clinically proven to penetrate deeply and clear acne fast. Repêchage® is a French word meaning "to rescue" or "to give a second chance". It is a name synonymous with serious scientific skincare and body treatments, based on select nutrient-rich seaweed plants harvested from the Brittany coast of France, which give proven results and long term benefits. Discover for yourself how Repêchage® from Beyond Basics can become your second chance for healthy, beautiful skin. Hydra Refine: Formulated specifically for oily skin using seaweed, lemongrass and cucumber, Hydra Refine deep cleans, minimizes oily shine and fights blemish causing bacteria without drying or irritating the skin. Hydra Dew: Restore and preserve skin moisture long-term! Codium tomentosum seaweed, waterlily, and calming willowherb provide 24-hour hydration, protect the skin, and smooth fine lines and wrinkles. Hydra 4: Specifically designed to neutralize the hyper-reactivity of sensitive skin. For skin that has been compromised by over exfoliation, sun damage, or other free radical damage, Hydra 4 provides soothing, calming repair and protection. T-Zone: Formulated with St. John's Wort, an ancient botanical known for its gentle soothing properties, and powerful antioxidants from green and white tea. Good for all skin types! Hydra Medic: Deep pore cleanser that purifies, and controls existing breakouts while helping to prevent new ones from forming. Reduces oil from overly active sebaceous glands, while maintaining skin moisture balance using ingredients including mineral-rich sea mud, salicylic acid, and synergistic tea blend. Opti Firm: Increases skin firmness and diminishes the look of lines and wrinkles, all while providing optimal skin smoothness and hydration. Cell Renewal: Developed for all skin types as well as the client who is just starting to see the first signs of aging. Based upon the principles of exfoliation, hydration and protection, these products help keep skin smooth and radiant. Vita Cura®: Formulated with our patented anti-aging ingredients and exclusive seaweed, each of the active ingredients has the power to stimulate what young skin does naturally. Biomimetic Messenger Pentapeptide reduces lines and wrinkles and improves skin's firmness. Marine biopeptide of Aosa seaweed increase elasticity. Sea Spa Body Care: Transform your home into a Sea Spa resort! The ultimate way to exfoliate, soothe, rejuvenate and protect! Hydra Soleil: A complete range of products incorporating the latest skincare technology to protect, tan and soothe with or without the sun!